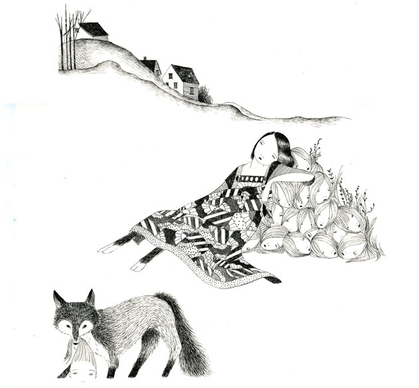 Our Monday Video (above): Natasha Khan's quirky all-women band Bat for Lashes (based in Brighton, England) peforming their eerie song "Horse and I" at the Mercury Awards. If you like the music made by Khan and her cohorts as much as I do, then be sure to check out their weirdly wonderful videos for "What's a Girl to Do" -- which makes me laugh every time I see it -- and for "Prescilla." Want more? Here's the band performing "Trophy" at Maxwells NJ, and a short interview with Khan at Flasher.com (followed by another gorgeous performance). Enjoy. I had the good fortune to hear Albannach play last weekend at the Mid-Winter Scottish/Irish Music Festival in Philadelphia. 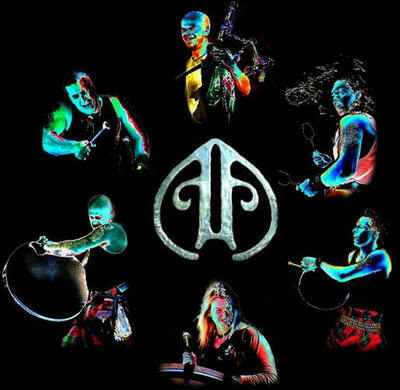 Albannach (the Scots-Gaelic word for "Scottish" or "Scotsman") includes a piper, main drummer, bass drummers, and bodhran musicians, and the energy they bring to their playing is infectious. The bag piper, Donnie, is nicknamed "bullfrog" for the way his cheeks and neck inflate while he plays, and the drummers stomp and dance tirelessly while they pound out their rhythms. 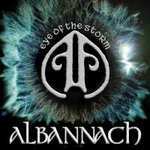 Check out Albannach's tour schedule to see when they'll be in your area. And go to their MySpace page to listen. Oh, and if you're like me, and your first thought is "wow, that's chaotic," wait a couple of minutes more to let the sound sink deeply into your brain and I'll bet that you, too, will be hooked. Our Monday Video today comes from Anglo-Indian singer Sheila Chandra, performing the Scottish song "Lament of McCrimmon/Song of the Banshee." 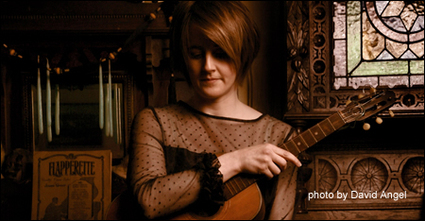 It's a rendition that draws upon both sides of the singer's heritage, evoking the ancient sound of the Indian drone and the distinctive drone of traditional Scottish pipes. "This melody was composed in 1745 on the departure of Donald McCrimmon by his sister. Another legend has it that Donald McCrimmon had a premonition of his death and composed the tune the night before he died and that his sister later wrote the words. Donald McCrimmon is said to have been killed in a skirmish in 1746 at the Rout of Moy during the last Jacobite Uprising. The McCrimmons were famous pipers and the hereditary pipers of the Clan MacLeod." See "Folklore of the Voice," our profile of Sheila Chandra, for more information on this extraordinary performer.